How quickly has 2018 gone?! It seems like only yesterday that we were gearing up for our gigs in the coming 12 months and now it’s nearly all over. So here we are again, approaching the festive period with a plethora of Christmas Parties and Corporate Events to help people celebrate the new year ahead of us. This of course means that we will be expecting the usual January influx of enquiries for us to play at weddings all across the UK! We obviously specialise in weddings and parties in Leeds, Harrogate & York but we also travel much further afield to London, Oxfordshire, Cambridgeshire and beyond! 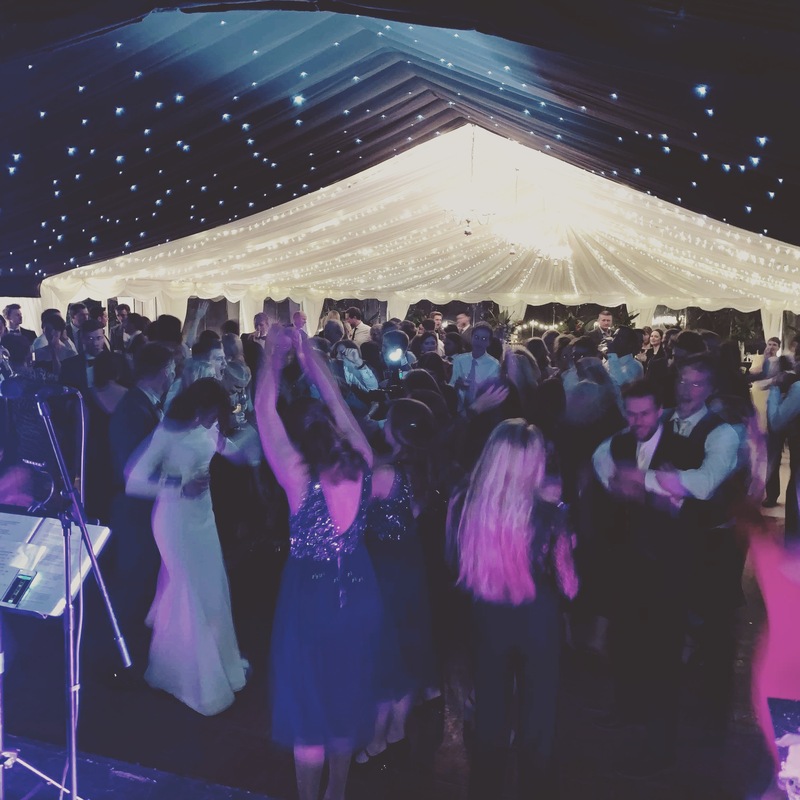 If you are looking for an amazing live band for your big day in 2019, then look no further! Vibetown is an award winning band that specialises in performing at bespoke events and weddings all across the UK. We offer line ups to suit all budgets, from smaller 5 piece bands to larger 10 piece line ups. Whatever you need, we can provide! We won Best Live Band at The Wedding Industry Awards in 2015 & 2016 and for good reason! We pride ourselves on excelling at all of our events. Feel free to head over to the Wedding Industry Awards Website to see what all the fuss is about. One thing to know for sure is that Vibetown is the best bet for any event you can think of! Why not give us a try?